"These historians are among the most prominent in their field...and the most famous historians from Canada." 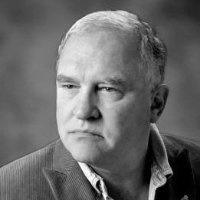 Originally from Montreal, Canada, Barry Sheehy holds degrees from Loyola and McGill Universities and the Canadian Armed Forces Decoration. After leaving the military, Mr. Sheehy entered the entrepreneurial world of business consulting, advising multinational corporate executives in more than a dozen countries throughout Europe, Japan, North America, the Middle East and the Pacific Rim in the areas of supply chain management, investment optimization and quality improvement. Clients included the CEO’s of such companies as American Express, Charles Schwab, United Parcel Services, Canadian Airlines, Hilton Hotels International and others. Mr. Sheehy has experience in transportation and integrated logistics. He is presently supporting the development of the new Sydney Nova Scotia super-port. An accomplished speaker and author, Mr. Sheehy‘s works have appeared along side of those of Presidents Clinton and Bush, Alan Greenspan, Robert Rubin and business leaders such as Lou Gerstner, Jack Welch, and Michael Dell, Edwards Deming, Stephen R. Covey, Rosabeth Moss Kanter, Gary Hamel, Peter Senge and Tom Peters. His speaking tours have taken him to Europe, Latin America, the Middle East, India, Singapore, Hong Kong, Mexico, Canada, and the United States. He is the author of six books. Mr. Sheehy ‘s articles and papers have appeared in The National Productivity Review, Asian Productivity Digest, Executive Excellence, The Governance Institute, Healthcare Innovations, Industrial Management, The Singapore Business Times, and Hong Kong Industrialist. Barry and his wife, Christine, have residences in both Gabarus, Nova Scotia, and Savannah, Georgia. Barry can be contacted via email at: bsheehy712@aol.com.